Last month I encouraged you to travel like an Aussie to Queenstown, New Zealand. This month I'll guide you through traveling like an American in Australia. Many of you may have already explored this vast land down unda' but for those who haven't-pack your bags. This giant continent we now call home has an endless amount of experiences to offer. I've fallen in love with quite a few places in Australia thus far, but one town I found exceptional was Byron Bay. We all have our own unique way of traveling, so I encourage you to not take my word for it. Instead, use this as a guide to make your own itinerary that suits your lifestyle. Even if you've already been to Byron, maybe this will spark some interest to return! Byron was the first stop on my very first trip to Australia, before I even knew I was going to move to Melbourne. I went with my partner who is Australian and the first thing he said was, "This is not what the rest of Australia is like." The vibe in Byron Bay is immensely different than that of Melbourne or Sydney. It's very much a bohemian beach town that is nestled between gorgeous jungle and greenery. It has a free-spirited vibe married with healthy cafes, surfers, and hip beach bars. It can also be a very tranquil, relaxing getaway if you stay just outside of town. I've done both and I'll share my two very different experiences of Byron. This is what can make Byron a completely different experience depending on how you like to travel. For those seeking a relaxing, more upscale getaway in a gorgeous jungle setting, I highly recommend The Byron at Byron Bay. Going for walks through the acres of lush, tree covered grounds transports you to another world. They offer outdoor couples massages and spa treatments for a very unique, lavish experience. The restaurant and accommodations are 5-Star through and through, making this quite a holiday retreat! If you're a traveler who likes to be in the center of all of the action rather than fuss over pricey accommodations there are many quirky, cute motels and backpacker inns. You really can't beat being within walking distance of the beach and amazing restaurants and bars. I recommend Hibiscus Motel for a clean, centrally located, affordable accommodation. Take a look at Trip Advisor for even more recommendations on places to stay, it's always my go-to for hotels! For one thing the beaches in Byron Bay are exceptional. A day at the beach or just a beach stroll is mandatory during your visit. 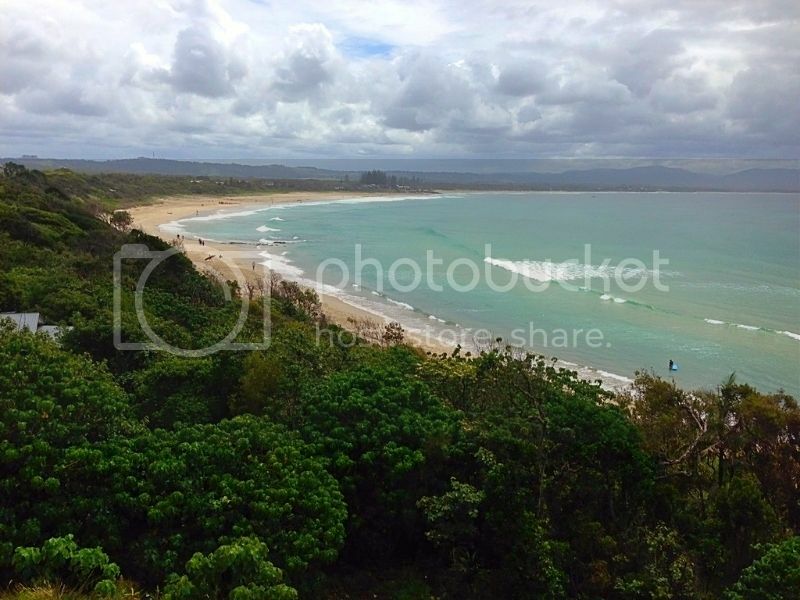 There is a Light House that is famous in Byron and the hike to get there is stunning. You can choose to do a longer or shorter hike to the top depending on where you start. Just a warning it's a fairly steep incline, but worth it once you reach the top! Whether you're into water sports or not, I recommend stand-up paddle boarding down the Brunswick River. The instructor is great at teaching the fundamentals to first-timers and it's not as difficult as it seems. For those experienced at stand-up paddle boarding just sit back and enjoy the scenery because the river is quite tame. 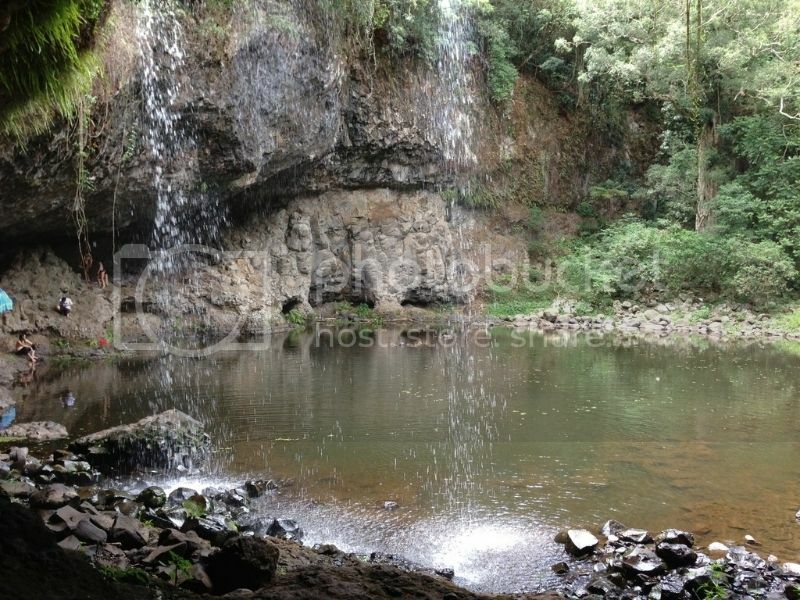 Just a short drive away from the center of town are beautiful waterfalls you can hike to. Tip: I recommend asking a local which waterfalls have the most water because sometimes they dry up. Bringing the kiddos? Take them to The Farm just outside of town where they can visit the chooks, pigs, and other animals that live on The Farm. There is also a playground, restaurant, cheese shop, and farmers market for you and the kiddos' to enjoy. Crystal Castle is another must see and is both kid and adult friendly. It's a bit of a drive, but such a unique experience to see the different gardens and imported crystals from around the world. If you're a foody like me, this is the most important part of the trip! There is so much fresh, delicious food in Byron, which was part of the allure for me. In my opinion, the best restaurant in Byron and in my top 10 restaurants in the world is Harvest Café and Restaurant. The seasonal menu uses all farm to table, organic and sustainable foods from local growers. They also have on-staff horticulturists and one of the best mixologists I've come across. I recommend booking in for a romantic dinner because the dinner menu is superb. However, it is outside of the main CBD of Byron, so if you do not wish make the small trek then I recommend dinner at St. Elmo restaurant. It is centrally located in the heart of Byron and the menu is delicious, innovative, and has a great wine list. If you're craving Mexican food, Miss Margarita has a little taste of home! And they have the best margarita I've had in Australia so far. If you decide to stay at The Byron hotel, the restaurant there offers amazing faire. If you head over to The Farm definitely enjoy the food! They have an amazing breakky and lunch menu. For those travelers who seek a fun night of dancing, the Cheeky Monkey is a very popular spot. You can enjoy live music at various cafes, restaurants and even along the streets most any night of the week in Byron.